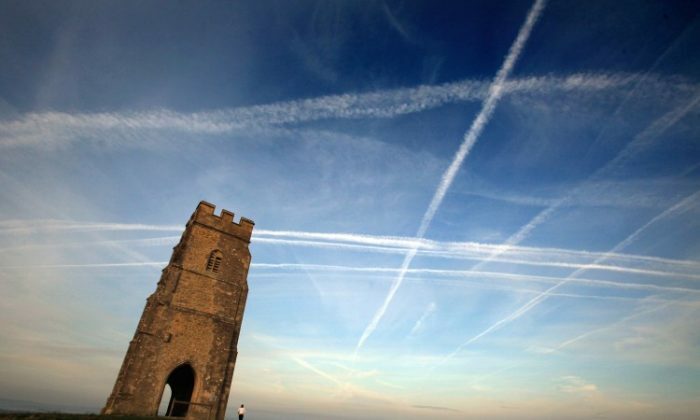 The article, “Chemtrails, Nano-aluminum, and Neurodegenerative and Neurodevelopmental Effects” by Russell Blaylock, M.D., in the National Health Federation magazine “Health Freedom News” warns against one of these environmental hazards: chemtrails. Blaylock, who has retired from neurosurgery to do research, write, and teach, began to notice chemtrails a few years ago and writes, “Of particular concern is that there are now so many—dozens every day are littering the skies.” Chemtrails are made from aerosols, usually spread by non-passenger jets. What at first looks like contrails turns into ribbons of clouds that spread out making the sky look over-cast. They contain various toxic, and biological substances. Blaylock concentrates on the effects of the nano-aluminum particles, as mentioned in Part 2 of Chemtrails Over Las Vegas in the August 26, 2005, Las Vegas Tribune. 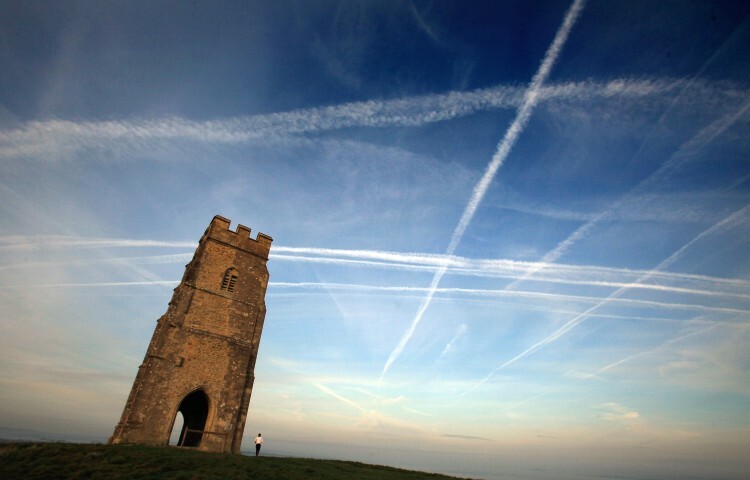 Chemtrails are not admitted as a threat or as existing by governments, but their existence occasionally comes out in the media. TV station KNBC Los Angeles, Calif. hosted Toxic Sky with Paul Moyer, an account of sickness of children and record amounts of barium and aluminum in the water supply after chemtrails were seen over San Bernardino. Individuals who have noticed health problems, die-off of livestock or crops concurrently with the appearance of chemtrails have investigated on their own, having their blood, soil, water, and atmosphere tests made to compare with the norms. A compendium of these reports both documented and anecdotal is on Strange Days Strange Skies online. The documentary film What in the World Are They Spraying? produced by G. Edward Griffin, Michael Murphy, and Paul Wittenberger shows the impact on the environment of chemtrails. For instance, the snow on Mount Shasta normally has 7 parts per billion (ppb) of aluminum, but over the last four or five years it has increased to 61,000 ppb. Soil in northern California is turning alkaline, disrupting the root systems of trees. Farmers have noted that some plants will no longer grow in Hawaii. Fishermen see fewer bugs for the fish. These are a few examples from the above documentary. Aluminum nanoparticles are also very easily absorbed from the GI tract, unlike ordinary aluminum that is usually not absorbed. Because of their small size, the nanoparticles can go through the brain-blood barrier, penetrate cell membranes, and disrupt mitochondria. Nanoparticles can accumulate in the bone marrow, spleen, lymph nodes, and heart, as reported in “Manufactured Aluminum Oxide Nanoparticles Decrease Expression of Tight Junction Proteins in Brain Vasculature,” published in the Journal of Neuroimmune Pharmacology (December 2008). When inhaled, they inflame the lungs, bringing on asthma or other pulmonary ailments. In his article, Blaylock predicts an “explosive increase in neurodegenerative diseases occurring in adults and the elderly in unprecedented rates as well as neurodevelopmental disorders in our children” if these cloud projects are not stopped. The danger to children is the greatest since they are more likely to be outside. Also, they are smaller and not fully developed. Some of the advice from the Stop Spraying California website is to stay inside on chemtrail days, drink lots of water, and eat ice cream. A hearing was held on Saturday for the alleged Fort Hood shooter, from his hospital room.